Broccoli, a fabulous vegetable unless you don’t like it. Part of the cabbage family, it grows with a tightly packed cluster of green flowers, referred to as a “head” of broccoli and can be a little stinky when cooking. That can be a turn-off for some but, it makes a delicious soup. 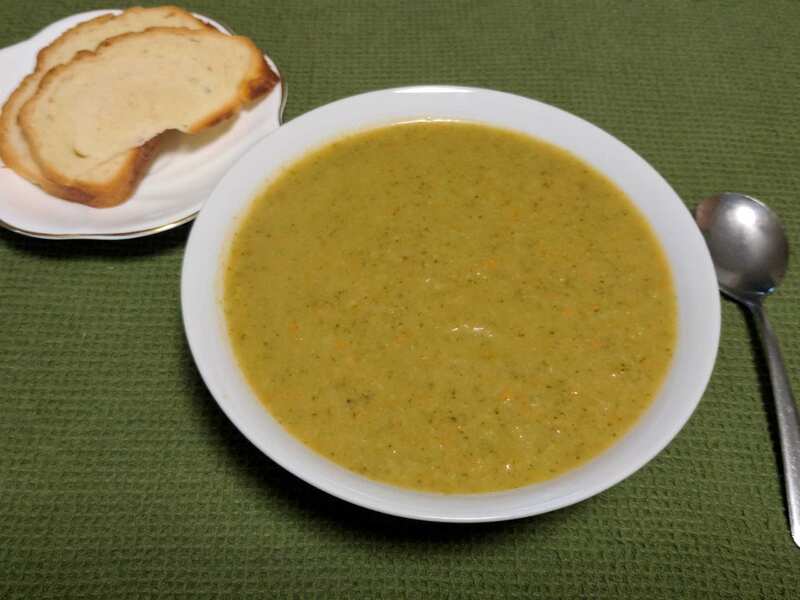 Since broccoli is a cool weather crop, now is the time to enjoy fresh broccoli in soups, salads, with dip and as a side vegetable. My oldest grandson is a broccoli fan. He loves it in any form but especially in soup. This recipe is his favorite. In a heavy bottom stock pot, saute onions in olive oil or butter till onions are clear. Once onions are clear, add minced garlic and continue sauteing another 3-4 minutes. Add chopped carrots and broccoli. Bring to a boil over high hear. Reduce heat to medium/low, cover and simmer 20 – 25 minutes or till broccoli and carrots are tender. Stir in nutmeg then add salt and pepper to taste. Using an immersion blender puree soup to desired consistency. NOTE: This soup is gluten free, dairy free and can be made vegan friendly by substituting vegetable broth for the chicken broth. If you prefer a creamier soup, add a little heavy cream after pureeing the veggies, then gently heat it to bring it up to serving temperature.